Climatic variability like precipitation changes or increase in extreme events such as storms and tropical cyclones is known to significantly modify the Earth’s surface. 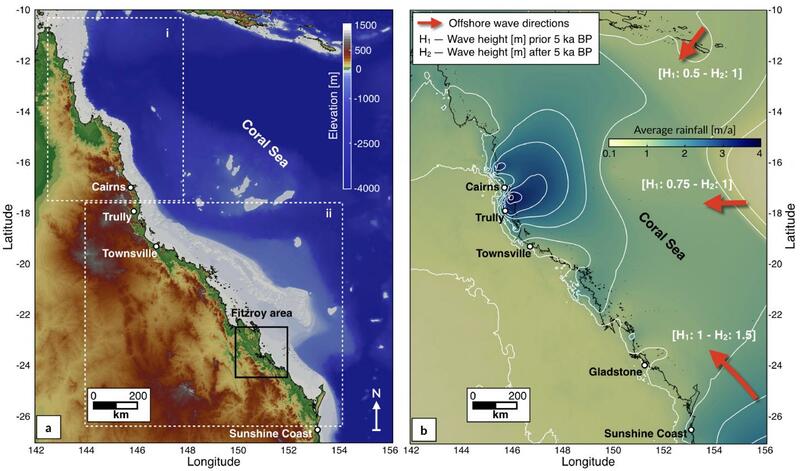 Yet, our understanding of how sediment dynamics and reef evolution might respond to these changes is still limited. In a recent study, a team of researchers from the University of Sydney’s School of Geosciences has designed a new model that simulates sediment transport from mountains to coasts, reworking of marine sediments by wave-induced currents, and development of coral reefs. Even though the actual rate of global warming far exceeds that of any previous episodes in the past 14,000 years, large changes in global climate have occurred periodically throughout Earth’s history. The paper can be accessed at this link.